Discussion in 'What Granddad did in the War' started by Wilts42, Dec 3, 2018. My grandfather served in WW2 when he was a young man and im having trouble finding out his attachments during the war. The little my father was told doesn't fit what the papers we have after his death. His discharge paper state he was in the 25th tank battalion HOWEVER, he landed in Anzio and fought in Salerno so it couldn't be in the 25th as it was never in Anzio and Italy. The only clues i have are pictures of M10 tank destroyers, that led me to find the roster of the 601st tank destroyer battalion, but his name isn't there. My father said my grandfather was a very headstrong guy and he talked about being busted down a rank or two during the war. The discharge papers also list him as a Private so I think that was the case as he was in the service till the end of the war. Could they of transferred his because of this? Im just wondering what else i can do before I start the process of getting his papers from the archive and paying for it. Then after that Im off to my other grandfather that was in Korea and has a Bronze star NOBODY knew about till after his death. He only ever told me that "we always knew when the Chinese were going to attack cause they smelled like garlic" I just feel like i need to keep their stories alive for my kids that are getting to the age of asking about them. 1) The unit he was in when discharged was likely a unit of convienice and had little to do with unit(s) he actually served in. 3) The more info you give us the more people can help. A name and service number for instance would be a decent start. I'm pretty sure that you don't have to pay to get his personnel records. Whether they were in the batch that got burned up may be more of an issue. If you still live in the county he came back to after the war they may also have a copy on file that you can look at and probably copy. The NARA does charge for copies of Official Military Personnel Files (OMPF). It is $25 for 5 pages or less, and $70 for 6 pages or more. I would recommend that you put in your request now. First, it takes a long time to get records through the NARA. Second, requesting them does not obligate you to pay for them. The NARA will let you know how many pages and the cost. You will then have the option to pay for the records or not. Third, the odds are that his file was damaged or destroyed in the 1973 fire. If that is the case, they will probably only be able to provide his Final Payment Voucher. The sooner you find that out, the sooner you can look into other options. kitty 291st Co B brat and lwd like this. Can you post a picture of his discharge papers? That might help in our search. What state was he from? Any information you can give us will aid in our efforts. Is this his grave marker? On That Correct Note: make sure you have a certified Copy of His Birth certificate. For any requests You need that..
kitty 291st Co B brat likes this. 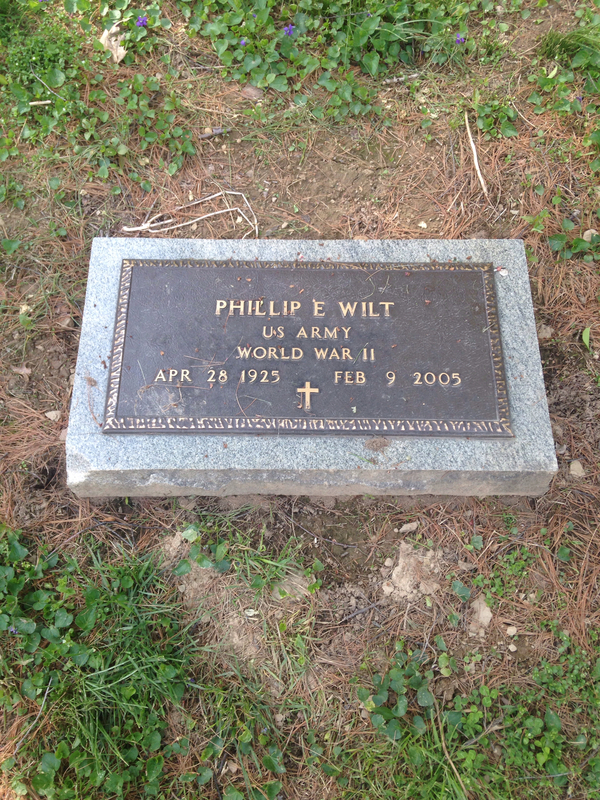 I just used Findagrave.com. A very useful website. Looking forward to more information. Actually, virtually all WWII personnel files are considered Archival by NARA and are available to the general public. No birth cert is needed. kerrd5 and kitty 291st Co B brat like this. That may be the case for VA files as that is a different govt agency. ok yes it is , as i got his complete VA f with his dd 214 File an tracked him thru the war during that time Such good information to know! this great! Thanks ! Your grandfather's MOS as a Truck Driver, Heavy certainly means he could have been in the Service Company of a TD Battalion, Tank Battalion, or even an Ordnance Heavy Tank Maintenance Battalion. Now we know he served in S. France. His previous service in Italy suggests his unit was part of the 7th Army invasion force as most, if not all, of these units came from Italy. According to the 7th Army D-Day Troop List there were three TD battalions from Italy involved. The 601st, 686th, and 645th. Three Tank Battalion's are listed as well; the 191st, 753, and 756th. No Ordnance Heavy Tank Maintenance Battalion is listed. This hopefully gives you some more information to go on. Best of Luck. Good eye !!! Since the 645th was part of 7th Army in France and awarded his GCM we can assume that was his unit. The question I have is why on his discharge #6 why is the unit different? "SV Co 25th TK Bn ??? I'm trying to trace his moments through the war and with it having two units im confused ?